Summer is here which means we are all looking for a light and easy dinner recipes that doesn’t require any cooking to keep our homes cool. I’m excited to share this fun recipe my kids and I worked on together to create that would be perfect for a summer get together and is very kid friendly! To keep lunchtime fun and encourage my boys to eat up, we like to make our lunch look fun to eat. 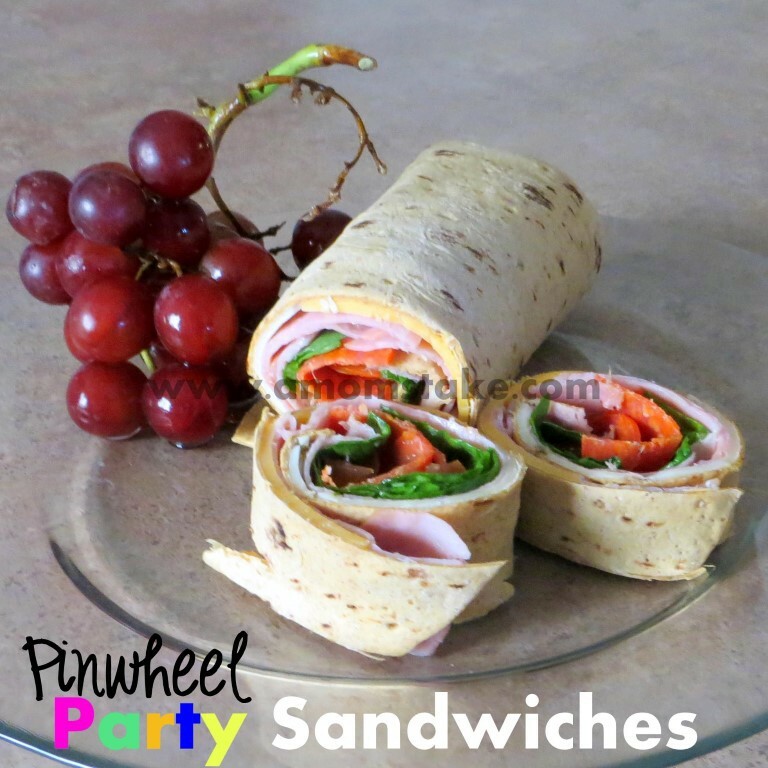 Switching it up by making pinwheel party sandwiches is a perfect way to do just that. Start by pulling out all the sandwich ingredients you plan to use. Prepare anything that needs to be cut such as the tomatoes, cheese, and your spinach or lettuce. Put all your ingredients together on a cutting board or tray so they are easy to see and reach. Then, your kids can help by making their own sandwich creations. Give your child a Flatout flatbread which is a healthy alternative to bread and works perfectly for making a pinwheel sandwich. Then, let them pick out whatever toppings they would like on their own sandwich. When they have all of their toppings laid out on their flatbread, show them how to roll up the bread to create a wrap or burrito looking sandwich. Start at one edge and slowly roll up your sandwich until you reach the other side. Your sandwich will now be shaped like a wrap and look a bit like a burrito. Then, let your children help you to cut your sandwich into pinwheels with a handheld pizza cutter. Be sure to use adult supervision as the pizza cuter still has a sharp edge and young children should not do this step without assistance. 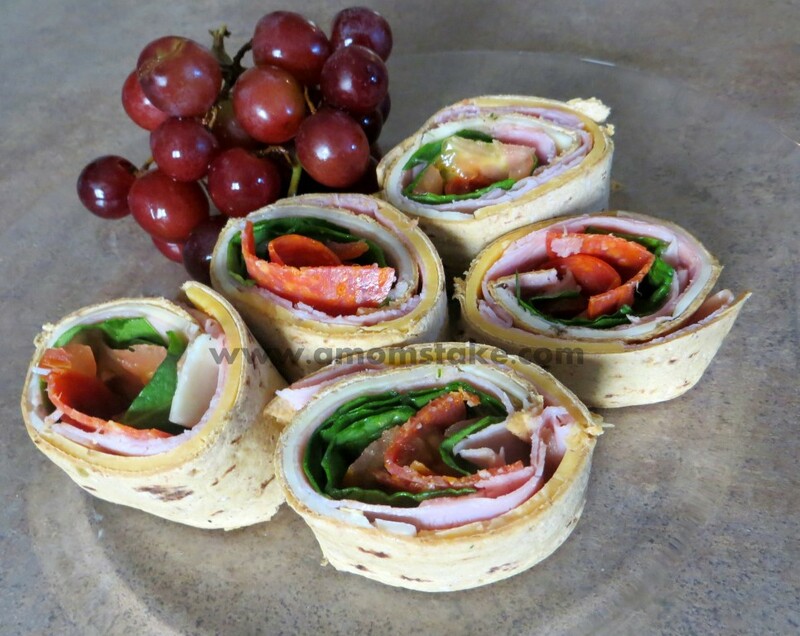 Cut through the wrap about every inch creating small, easy to handle pinwheel party sandwiches! Then, pair your lunch with your favorite summer fruit such as grapes, watermelon, or cantaloupe and you’ve got the perfect summer lunch! 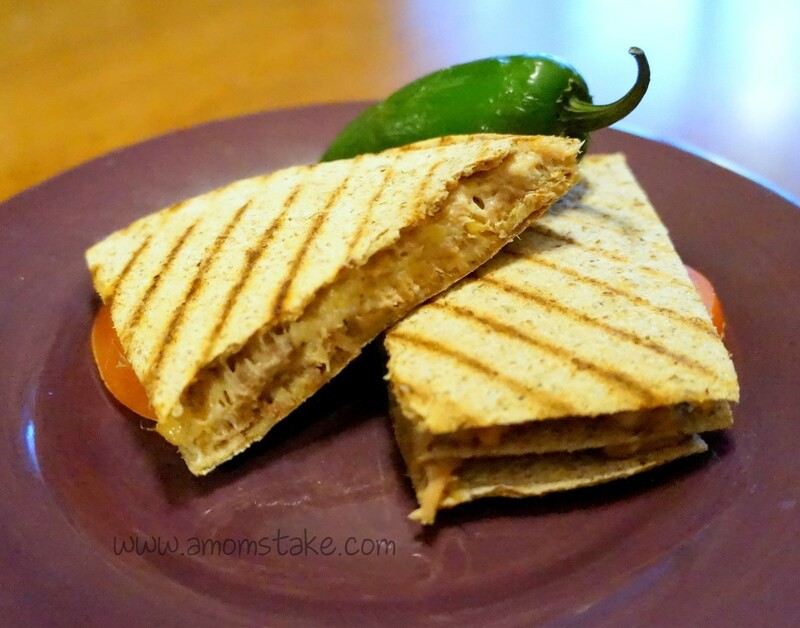 Simple sandwiches that are healthly, light, and kid friendly! Start with one Flatout flatbread. Lay out four thin slices of cheese across the flatbread. We used 2 slices of cheddar and two slices of Monterrey jack. Add 4-6 slices of lunch meat. Then, pile spinach, tomatoes and pepperoni only to the first third or so of your flatbread. Top with a little bit of dressing, if you'd like. A lite Italian dressing or ranch works good. Roll up your flatbread starting at the side where you added the bulk of your ingredients. Roll up your flatbread moving slowly to keep all your layers in place as you go. Use a pizza cutter and slice off the ends to give you a fresh pretty roll. Then, make another cut about every inch. We had a great time making our sandwiches together and my boys absolutely loved them! They thought they were so fun to eat and loved the flatbread! I really like Flatout’s flatbread because it has half the calories and half the carbs compared to using two slices of traditional whole wheat bread giving me a way to sneak in healthy without it feeling boring or tasting bad. Plus, I love the taste of their flatbread! Flatout Flatbread is now available at Sam’s Club! They are available in a 2-pack for $4.88 and you can choose from Flatout Light Original Wrap or Flatout Multigrain Wraps. Here’s another great recipe for using Flatbread! A turkey wrap with honey mustard…mmm! I would use the Bacon, Egg Salad Flatout Wrap recipe. I would make the Kidz Hot Dog Cozy Flatout Wrap with the kids. The Hotdog Cozy Flatout wrap. I WOULD LIKE TO MAKE THE bREADEC CHICKEN FOLDIT IT SLIDERS! The Bacon Egg Salad looks great! I would love to try the Breaded Chicken Foldit Sliders with the kids, thanks! The Sausage and Peppers Pizza would be my recipe of choice! I would make the Bacon Egg Salad wrap. I would reate the Kidz Hot Dog Cozy Flatout Wrao recipe. I would love to try the Cheddar, Mushroom & Avocado Flatout Fanini Griller. i love this exact recipe, except for instead of pepperoni we use bacon and ranch! delicious! also we use the spinach wraps, kids love them bc they are green! I have to try the sausage and peppers pizza gosh that looks yummy! Arugula Mushroom Flatout Thin Crust Pizza recipe looks wonderful. I want to try the bacon egg salad flatouts. I would love to create the Blue Cheese Foldit Burger! Looks delish!!! I’m going to give these a try! We would make the Kidz Hot Dog Cozy Flatout Wrap. The Amazing Foldit Big Juicy Burger looks amazing! The Thin Crust Flatbread Chocolate Raspberry Pizza sounds delicious. 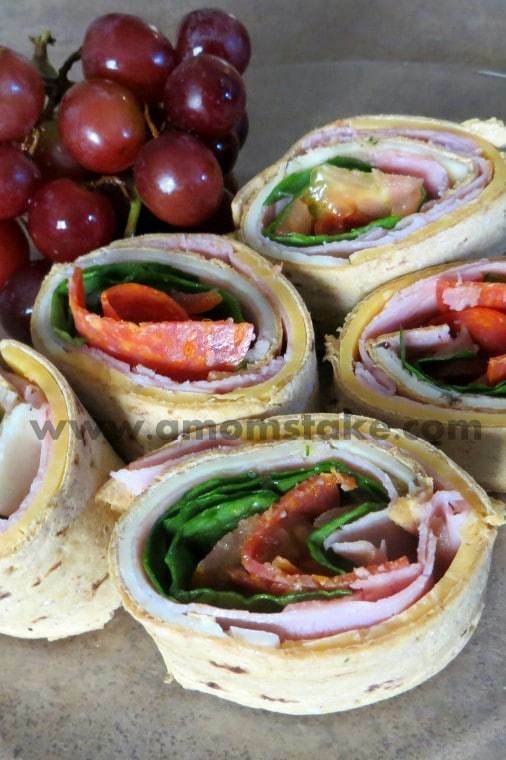 I would use the sun dried tomato to make ham and cheese rollups, yes! I would make Pizzas with the flatout and let the kids put their favorite toppings on it. I would like to try the flatbread pepp pizza! I would love to try the Feta cheesburger. Yum! I love that Flatout is so low carb. We like spicy food so it would be fun to make the Flatout Thin Crust Flatbread Buffalo Chicken Pizza. i would make a pizza or some chicken wraps. Pineapple in Paradise Flatout Thin Crust Pizza. I would like to try the Flatout Thin Crust Flatbread Artichoke Sausage Pizza. It looks good! Ohmugosh, I have to try that Blue Cheese Foldit Burger! Buffalo chicken pizza sounds really good! Buffalo chicken pizza sounds delicious! My sons’ love pizza so I would like to make the Flatout Thin Crust Flatbread Buffalo Chicken Pizza. I think I would make the pizza, the Flatout Thin Crust Flatbread Pepperoni Pizza. They love pizzaanyway they can get it and this is so much healthier than other recipes. I’d like to try the Pineapple in Paradise Flatout Thin Crust Pizza. I’d make the Memphis Style Pulled Pork Foldit Sliders! We would make some pizzas!! Hungry Girl egg mug on Flatout with spinach and Laughing Cow Swiss Light. We would try the Flatout Apple Streusel Pizza. Thank you! I think the kids would like the Flatout Apple Streusel Pizza. I think we would give the pizza a try. I would make this yummy delight Thin Crust Chocolate Raspberry Pizza. We’d make the Breaded Chicken Foldit Sliders – oh yum! I would love to make the Chicken Carver Sandwich Foldit! We’d love to try the Flatout Thin Crust Flatbread Pepperoni Pizza, the kids would be happy. I would try making pizza or a caprese sandwich. I’d make the thin crust pepperoni pizza. I think the Bacon, Egg Salad Flatout Wrap would work well with my family. The Caprese Foldit Sandwich looks delicious and would be even better with tomatoes & basil from our garden! I would make mushroom and cream cheese roll-ups! The western omlet wrap sounds amazing. I would make the “Caprese Foldit Sandwich”. I’d like to try the Bacon, Egg Salad Flatout Wrap. i love it fast and not messy! I’d like to try the Bacon, Egg Salad Flatout Wrap. I love egg salad! I would like to try the Kidz Hot Dog Cozy Flatout Wrap! The Thin Crusty Spicy Margarita Pizza sounds good. I would let my boys make their own individual pizzas with their favorite toppings. Chocolate Raspberry Pizza – YUM! Looks the best to me! The Cheddar, Mushroom, and Avocado Flatout Fanini Griller is right up my alley. I would make the Grillin’ Cheese for my son !!! The chicken carver sandwich flatout looks good! Thats a good idea to get the kids together and having fun. It also seems that they would eat a little better if fun ways to cook were intriduced, like the pinwheel party sandwiches. I would make the Caprise Folding Sandwich. I would love to try the foldit with a burger! Or try a veggie roll up – tomatoes, sprouts, pickles, onions, peppers! I would make the Caprese Foldit Sandwich. I’d make the Flatout Thin Crust Flatbread Chocolate Raspberry Pizza! I’d love to make the Thai Chicken Flatout Thin Crust Pizza! I would love to make a pizza with these! I would make the Tex-Mex Flatout Thin Crust Pizza! I think the Thin Crust Chocolate Raspberry PIzza would be fun (and delicious!) Thank you. Mmmm… I want to try that Flatout Flatbread Pear and Gorgonzola pizza! That sounds awesome!! I would try the Caprese Foldit Sandwich recipe.